The tournament is at North Charleston High School. North Charleston High School is located at 1087 East Montague Avenue off the Park Circle area. The school has been recently renovated and features a new gymnasium, a culinary arts department, and other updated facilities that provide the opportunity for an exciting venue. 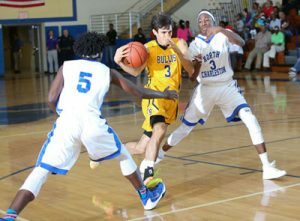 North Charleston High School has been the host school for the tournament since its start. Near the school, you’ll find a variety of great restaurants in a range of price points to satisfy everyone.